Through her Fulbright Specialist Project, she hopes to create a museum setting to showcase and contextualize common, everyday objects that most clearly represent the causes of South Africa’s inequality rate, which is among the highest in the world. One example of an object included in the exhibition is a prepaid water meter. 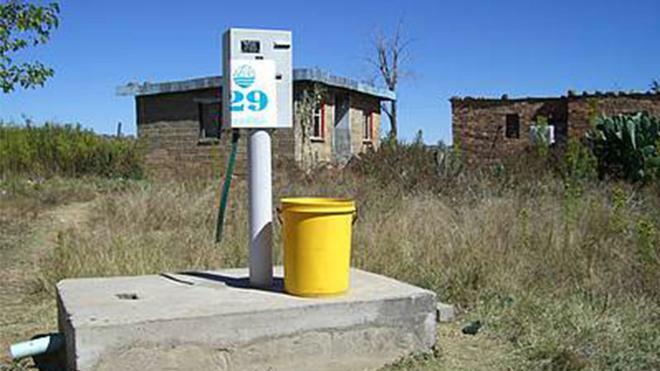 Poor citizens have to use these meters to access water at rates that are one-third higher than what wealthier residents pay for water, she said. Browder will work with University of the Witwatersrand students pursuing their master’s and doctorate degrees to develop the exhibition and related programming. After it debuts at the university, Browder hopes the exhibition will travel. Browder is a Tyler and Alice Haynes Professor in American Studies in the English department and has taught at UR since 2010. She earned a B.A. and M.A. in creative writing from Brown University and a Ph.D. in English and American literature from Brandeis University. Fulbright Specialists are a diverse group of highly experienced, well-established faculty members and professionals who represent a wide variety of academic disciplines and professions. In order to be eligible to serve as a Fulbright Specialist, candidates must have significant experience in their respective professional field and be a U.S. citizen at the time of application.